Given a list of packages that need to be built and the dependencies for each package, determine a valid order in which to build the packages. Once you think that you’ve solved the problem, click below to see the solution. 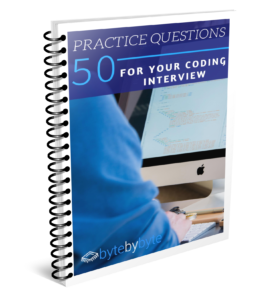 As always, remember that practicing coding interview questions is as much about how you practice as the question itself. Make sure that you give the question a solid go before skipping to the solution. Ideally if you have time, write out the solution first by hand and then only type it into your computer to verify your work once you've verified it manually. To learn more about how to practice, check out this blog post. How was that problem? You can check out the solution in the video below. Did you get the right answer to this coding interview question? Please share your thoughts in the comments below. This entry was posted in Coding Interview Questions and tagged Graph, Medium, Sorting. Bookmark the permalink.